What is equity? It’s the amount you sell your home for, minus the money you still owe on it at the time of sale. The amount you owe reduces each time you make a mortgage payment. Your principal payment increases each month, too, meaning that as time goes on, you’re paying more toward the actual loan amount versus interest. Equity in your home is typically lowest at your first mortgage payment and highest at your last payment. Buying and owning a home may be frustrating at the very beginning because of interest rates, mortgage payments and the entire legal process that goes along with it. You may think it’s easier – and cheaper – to rent a house, but it’s not, really. After a while, your interest rate will decrease. Plus, each month that you’re making a payment, you’re putting money toward your own home, not sending hard-earned cash into a landlord’s pocket. Owning a home actually brings much freedom and a sense of independence. The house belongs to you and you can do whatever you want to it. You don’t have to worry about a landlord hiking up your rent at the beginning of a new year or risk being kicked out of the house. Any improvements that you wish to make benefit no one else but you! Plus, if you have kids, you’ll have to worry less about having to switch school districts on-the-fly because you won’t have to worry about being asked to vacate. Let’s talk about this a bit more. Once you a buy a house, you’re no longer restricted by a landlord’s guidelines or requirements on paint, decor or design. You get to decide what type of construction, design or maintenance professionals you’ll hire to work on the home. Any improvements made to a rental are enjoyed by you for only as long as you’re living in the home. Once you leave, your updates will benefit the next renter. Are you you in the process of looking for a new home? Let RedStone Mortgage assist you in finding loan options that meet your individual needs. Call us at 480-759-1500. Homeowner’s Insurance, One of the First Things to Consider! Big mistake! And that is because there are always things that seem more important and manage to capture your attention before this detail even crosses your mind. Well, you might get lucky, and all turns out well. Or you won’t, which will be a disaster. Because homeowner’s insurance makes a huge difference in case something hazardous happens to your property. Get price quotes from multiple insurance companies – It is recommended that you contact at least three companies, in order to better compare coverage, price and customer reviews. In some cases, an additional insurance is needed. So, double-check that the level of coverage is adequate to your true needs. Another thing to consider is that most lenders prefer you to escrow your insurance payments with your mortgage payments, so they can be sure their investment is protected. Before you sign the papers, make sure you understood all the details of your insurance. In case you still have doubts, don’t hesitate to ask for further clarification. Careful, if you live in a disaster-prone area, certain kinds of damage might be considered separate deductibles. Do not be afraid to negotiate a discount. Some companies have a policy that allows them to reduce a certain percent of the final cost, especially if you are a dedicated client. If you are a first time home buyer, it might be a smart idea to have a warranty plan, so that you can sleep well at night. The advice also applies to the experienced real estate owners that just don’t want to have the thought of maintenance and repairs hanging over their heads. A home warranty is a way of protecting yourself from expensive, unexpected repair bills. Depending on the local market as well as on the deal, the home warranty can be paid either by the seller or by the buyer. The cost of a home warranty is normally not high, as it fluctuates between $250 and $400, depending on the coverage. The payment must be made one year in advance. On the day of expiry, the home warranty can either be renewed or not. In case you need to use such a warranty, the procedure is quite simple. When there is a problem, the owner calls the warranty company, which then announces the service provider that will be fixing it. The provider will always call the owner in order to schedule an appointment and fix the problem. The insurance company will pay the service bill. In simple words, a real estate appraiser can be defined as a state-licensed expert who determines the value of a certain property. When it comes to closing a financial transaction, implying a property, both the seller and the buyer depend on his or her evaluation. This procedure is meant to protect the buyer, as well as the bank that offers the mortgage loan, from purchasing an overestimated and overpriced piece of real estate. The property appraisers are not the same as property inspectors. The difference between an appraiser and an inspector is that the former will only look for obvious issues while the latter only checks, in a more detailed manner, things like the plumbing, or the air conditioning system. The appraisal report is required by the bank, and the cost is included in the mortgage cost. Otherwise, you can simply ask for a second opinion from a different expert. Although the evaluation only lasts a few minutes, the final report may be ready within a week or more. So, don’t expect to get it on the spot. 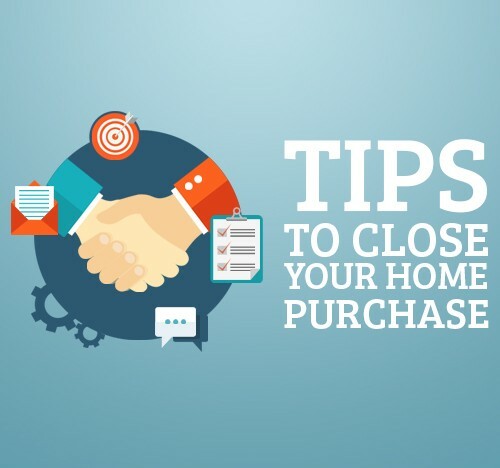 According to the law, a real estate transaction is considered closed when a closing statement or settle statement in signed. At this point, the buyer becomes the new owner of the property. This document must include details about all fees incurred by all the parties involved. Settlement regulations differ from one state to another. However, two aspects are the same all over the US. One of them is that the buyer has the right to visit the property 24 hours before closing the deal in order to make sure that everything is according to the settlement and any damage noticed beforehand had been fixed by the seller accordingly. Different locations have different traditions. It is mostly a custom in most parts of the US that only the buyer is the one who is accompanied by his/her attorney. The presence of an attorney is necessary because there is literally a mountain of paperwork to be drafted and signed. Prepay Mortgage, is it Worth it? If possible, you should always know that it is a great idea to prepay your mortgage. By doing so, you can reduce the costs incurred together with interest and save thousands of dollars in the long term. Some people decide to pay on a monthly basis a sum of money that is larger than the one that was settled upon. It has been proven that this method can actually save you a small fortune in the long run. Another way of reducing interest is through the bi-monthly payment system. Some mortgages have a flexible policy, which basically allows you to make extra payments as you consider fit (and that without restrictions). In other cases, however, the terms of returning a loan are quite strict and require a penalty for those who are planning on prepaying the mortgage. But do not take this decision without thinking it through. It is highly important to act responsibly and turn in all the required paperwork on time. Make sure you have enough time to review the closing statement and try your best not to be the reason that will make the signing to be delayed. It is also important that any problem mentioned during the inspection is fixed in time. Don’t worry, most of the time you will reach the finish line with a smile on your face and a beautiful new home to call your own. So get out there and start searching for the perfect home for you and your loving family. After all, we all know that there is no place like that you can call home. You have finished the exhausting search for a new home and finally found the house of your dreams. The real estate agent has already helped you to prepare the best offer. It contains the list of contingencies (for example, that seller fully disclosed any problems with the house, points on the results and actions after the inspections, etc.) and it is finally accepted. Anticipation of a purchase is rising. You are ready to sign the documents and move into your new family home, loft, condo, or a sea-view apartment as soon as possible. Although, it is too early to pack your boxes yet. A long journey waits, and there are ten steps to take before you own your property. The first step to closing the deal and unlocking the front door of your own house is to open an escrow. Escrow, on average, will last approximately one money. During that time, the third party is taking care of transactions on both the seller and buyer’s behalf. For example, if you are providing an inspection as a buyer, you deposit some funds to the escrow account. Costs of this service are to be negotiated beforehand. Some escrow companies may charge unexpected “junk fees.” You might only become aware of these fees during payments, because they are usually hidden. You need to lock your interest rate from the time a loan application begins approval until a couple days before the closing. Exact day and time is up to you. Most of the buyers do not lock the interest rate when they apply for their mortgage. They are afraid the rates will decrease during that window of time. Nevertheless, chances are that the interest rate may both increase or decrease during that period. A lot of variables should be considered. Waiting till the last moment could get you a lower rate at the same time, if you get lucky. The decision is yours to make, just do it in time. Making sure that tiles won’t fall off on the first day in your new home is generally a reason to have a home inspection. Specialists will check the conditioning system, plumbing, and electricity. Choose your inspectors wisely, and do not fall for the cheapest option. Cheap usually proves to be a bad choice in terms of quality, experience and technical knowledge. Of course, even the most expensive professionals cannot foresee the future. But they may save you thousands of dollars uncovering existing issues. Even new houses need to be checked duly and thoroughly. It does not matter that the house recently had all the municipal inspections by the builder. Ideally, the best choice is to hire a licensed pest inspection company. They will check if your future property is contaminated by flies, mosquitoes, cockroaches, fleas, rats, mice, bed bugs, termites, beetles, critters, carpenter bees, ants, and other types of pests. They will also check mold growth and other possible environmental health threats caused by lead, fungus and asbestos. There is no need to explain how much harm even a small amount of termites may bring. Not to mention the potential harm a growing mold population can cause, as they tend to cause major damage. These issues will lead to major fixing expenses and health issues. Presence of any kind of contamination is a subject of renegotiation of terms, or a reason to rethink the deal completely. If inspections revealed any problems, you may want to drop the price, or ask the seller to fix the problems that came up. Some inspectors advise to look deeper into the issue. They say you should ask for a second opinion, or evaluate it further with a specialist. It is highly recommended to discuss the estimates and fix the issues as soon as possible. Title insurance is needed to eliminate the third party ownership on the property that you are buying. The officer will help you to make a title search and make sure that there are no legitimate claims from relatives, collectors, and the like. Such claims might end in questioning your right of possession, or invalidating it at all. Title insurance will become a legal proof that everything is clear and you are good to go further with the closing. A home appraisal determines the estimated market value of your soon-to-be property. The appraiser evaluates it based on different factors. These include general condition, geographic location, proximity to objects of interest, value of the near-by houses, their recent sales, neighborhood growth and potential, etc. Mortgage lenders usually need this information to make sure the amount you would like to borrow is worth the money. Of course, there is always a risk of a low appraisal. This might not be bad for you as a buyer. But imagine this scenario: you negotiated a deal with the buyer, and it is already lower than he initially wanted. This is due to the declining market and neighborhood constructions. This will cause the home appraiser to drop the value even more. You cannot disagree that it may slow down the closing process. This is due to the seller’s doubts, if the appraisal is fair, or if he really wants to sell at a price that low. At the same time, you as a buyer want to save, and you have a legitimate right to go for it. Same goes with high appraisals, which will stop you as a buyer and make you want to appeal. And both of you will be right in standing your ground. Such a possibility may lead to a delay and require new negotiations. Unfortunately, some appraisers are not qualified enough, or unfamiliar with all the specifics of the particular areas. Before trusting the home appraiser with this responsibility, make sure he is from your county, has a residential appraiser certification and a professional designation. There are several moments to consider when scheduling the closing for your property. One of them is to schedule at least half a day’s time for the occasion. An hour or two may not be enough if you face some unsolved issues or unexpected situations. Closing can be held in any agreed location. For example, at the attorney’s office, or at your lender’s or title company’s offices. The closing date should be close to the end of the month, but not the last day of the month. It is better to settle between the 20th and 25th of the month. In this case, you will have some time before the end of the month to resolve all the disputes. Why not the last day? There are a few reasons. These include wanting to renegotiate new conditions, technical issues or something going wrong. If you schedule a closing and fail to complete it on that day, there are consequences. You will be facing increased closing costs next month, in addition to the penalty for the delay. A final walk-through is a last chance to see your future house before you buy it. Usually it is scheduled twenty-four hours before the closure. The property should be in the condition that is specified in your sales contract. You may inspect if any changes have been made after the home or pest inspections. Check if everything is in order and if any additional replacements are necessary. If there is an issue, the closing day may be shifted. Or upon mutual agreement, the repair costs will be submitted to the escrow account. Do not skip it because missing the final walk-though is one of the reasons of closure delay. Now you’ve run the escrow marathon and survived all the possible obstacles in your way. It is finally time to sign the papers and get the keys to your new home. First of all, prepare all the paperwork that you have collected during the whole process. This includes the title search and insurance, inspection reports, bank statements, home appraisal, checks of down payment closing costs, prepaid interest, etc. There will be quite a few people present with you at the closing: your attorney, a seller (and/or his representative), the seller’s attorney, real estate agents (both yours and your seller’s), a lender’s representative, a title company’s representative, the closing agent, and a public notary. Exact number and function depends on the state and county. Closing Disclosure (CD). This document contains your final payments, costs and charges upon agreed terms and periods. You are supposed to receive it three business days before the closing date and compare it with the conditions of the initial Loan Estimate. Signing this document, you agree to your mortgage terms and conditions, as well as penalties, in case you are not able to pay duly and in time. Deed of trust or mortgage. It is a security for your lender that he will get his money, even if you are unable to obey the terms of the mortgage note. Certificate of occupancy (for new houses only). Such document is needed to move into a house. If your home buying team is competent enough, you will not be seeing those documents for the first time at the closing. Do not sign anything that is unclear to you, different from what you agreed to, or seems wrong. Make sure that you understand what you are signing and how your payments will be distributed over the time. Charges change differently depending on the mortgage type, and may also depend on your insurance or taxes. Even a well prepared closure may not go as planned. Some mistakes can be revealed during the signing of the documents. There are a few examples of how this might happen. If you or your seller’s financial circumstances change or if one of you changed your last name during marriage. It is possible some of the repairs were not considered, or one of you simply backs out from the deal. Everything is possible, and you have to prepare for every option. If either of you refuse to sign the deal because you changed your mind, or found a better option, the other party has right to collect the damage fees. This clause is usually obligatory in all the agreements. Closing a deal is a big responsibility, stress and financial risk for all parties involved. It is important to understand that, especially if you are doing it for the first time. You need to do your research and gather all necessary documents. You must also follow your attorney’s, inspectors’ and real estate agent’s advice. Not to mention, you have to be sure that you definitely want to close this deal. Then calm down and take a deep breath. Now you can go through with it! Take the keys and start moving into your new house. Now you are a legitimate owner and a responsible person for a mortgage loan. Closing on a first new home is mind blowing – both in a good and a bad way. Nothing can be compared to buying your first home. When you finally get through with it, you will be able to relax and enjoy your new property. Hopefully, these basic steps will help the first time home buyers handle this incredible process with less stress and more energy. It’s extremely important to know the ins and outs of real estate agents before you bring one along with you to help in your search for a home, just so you may know what to expect, and what will be expected of you. 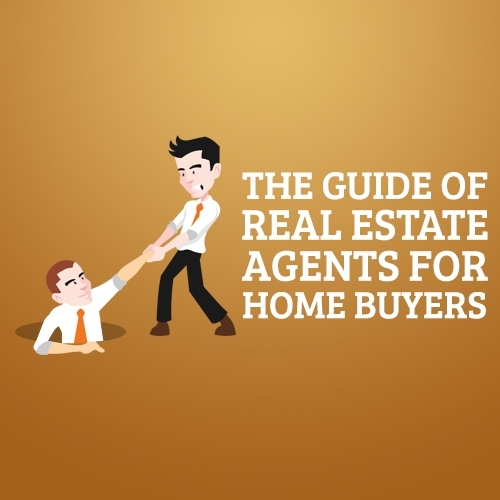 You probably already know who a real estate agent is, but do you know exactly what they do? In short, a real estate agent is someone who is licensed to list and sell real estate, implying homes, properties, etc. A Realtor, however, is somewhat different. A realtor is a member of the National Association of Realtors. Therefore, while a Realtor is always a real estate agent, a real estate agent isn’t always a Realtor. You may feel the urge to pick the first real estate agent who strikes you, but that’s something one should never do. The “Wow Factor” will simply wear off within a few minutes, even seconds. So when it comes to getting down to business, you need to know how to pick the best real estate agent for your needs. Would you trust a doctor who does not have credentials, or one that hides them? Probably not. So, why trust a real estate agent who does not present theirs, or doesn’t have them at all? It’s easy to find real estate agents who can get the job done, but finding agents with special credentials, those who have gone that extra step to take additional classes in certain specialties of real estate sales, is hard. Accredited Buyer’s Representative, or ABR – Completed additional education during representation of a buyer in his/her transactions. Certified Residential Specialist, or CRS – Completed additional training during the handling of residential real estate, such as houses and apartments. Seniors Real Estate Specialist, or SRES – Completed training during the purpose of helping sellers and buyers who are 50-years or more. Similarly, if you stumble upon a real estate agent who is also a member of the NAR, the National Association of Realtors, it will be a bonus. However, make sure that they have at least one or two credentials that are relevant to your need(s). Would you go to a doctor who does not have a proper medical training? No, you would not. So, why go to an agent who does not have a proper licensing? Your state will have a license board for all active real estate agents and realtors, which you can easily access. You will also be able to see their information, disciplinary actions, complaints, or any other information that you will need to help influence your decision, especially since most of the information is posted online. Ask the agent to give you a list of all the sales they have made in the past year, and a couple of phone numbers for references. A good agent will do so, while a bad agent will give you excuses and essentially shoot the request down. Ask the agent, before you call any of the numbers listed, whether or not the owners were pleased or disappointed with him/her. If the agent beats around the bush or does not give you a full answer, that tells you all you need to know. Otherwise, call the numbers and inquire from them what the asking price as well as the final sales price were. It would also be a good idea to ask their previous clients about the properties they sold, if you are a seller. This way, you can figure out the closeness in similarities between the properties that the agent sold and yours. After all, you will most definitely want an agent who specializes within the area of what you are selling. A good agent will know about all of the other properties that are for sale in the area. Also, a good agent always does his or her research regarding the events in the current market, and those that are out there for the taking. In short, you want an agent who is an expert of the current market, and also someone who always stays on top of things. Real estate agents and realtors are typically given awards based on how they do their jobs. For example, if you are thinking of selecting an agent who received the “Realtor of the Year” award through a local branch, or through the NAR, then you’ve made the right choice. Typically, these awards are given to the realtor or real estate agent who has made the most sales and commissions during a particular year. Therefore, you can trust how dedicated and serious they say they are because they have an award to prove it. Learning the type of market presence that a real estate agent has is the best way to figure them out. Ideally, you’re going to want an agent who has been in the business for at least 5 years, specializes in one or two real estate markets , and one who understands a particular price range. You can unearth this information by asking them, or by asking the state licensing authority if you’re not comfortable with asking the agent directly. Keep in mind that you’re better off with an agent who is engaged actively in one particular area and price range. For example, residential homes around the $100,000 range. Once you know their area of specialization, check out the available current listings that they have. Check out what they have on their own website as well as Realtor.com, which is a website that builds multiple properties for sale, known as the Multiple Listing Service, within an online database that you can search through. The majority of buyers will start searching on the Internet. Therefore, if an agent does not have much of an online presence, or one period, then it’s best to move on. Only the best agents will advertise themselves on multiple platforms, especially the Internet. You want an agent who will use every tool in the book to be successful. If you’re buying a home and it’s your first time doing so, you’re going to need a buyer’s agent. These real estate agents will work day and night, as long as you listen to the advice listed above and find the best one for you, to ensure that all of your needs and requirements are met when it comes to finding the right home for you. Your buyer’s agent will have a vast knowledge of the current real estate market for the area, which will include neighborhood amenities and conditions, the law, zoning issues, price trends, negotiations, taxes, financing, and insurance. Once you meet with the buyer’s agent, he/she will generally help you to determine what your needs and wants are when it comes to finding you a home and a neighborhood. The agent will aid you in learning about what you can afford, setting a budget, give you some insight on the current conditions of the market, and explain to you what you should expect while shopping for a home. In addition, he/she will help you find a suitable level of financing. During the shopping-for-a-home period, you will probably meet with your agent for tours of homes that you might be interested in. They will give your insight into the floor plans, the pertinent selling points of the home, and the overall crime rate of that particular neighborhood. They will also give you the rundown for cultural activities, work centers, shopping centers, and schools that are close by. Your agent is responsible for ensuring that inspections of the homes are complete, as well as the disclosures therein. They are also in charge of ensuring that coordination and completion is done through the roof inspector, attorneys, lenders, and all other professionals who are involved with the purchase of the home. If bargains need to be made over the price, you will not have to negotiate a thing. Your buyer’s agent will do all of that for you along with signing the final closing documents. They will be present whenever you need to go through and sign any document so as to ensure that you are safe. Dual agencies occur when a buyer is being represented by a brokerage firm that controls the listing. Once an agent represents both the seller and the buyer within the same transaction, the situation is known as dual agencies. In multiple states, this is illegal because of the conflict of interest that can arise in regard to the broker. All realtors hold the same responsibility, which is to inform their clients of all potential risks that may arise due to conflicts of interest. Legally, realtors are not allowed to work on both sides of any transaction without consent from the clients. For example, if you are selling your home, and you do not want a realtor to be working with the buyer, it’s your right to say so in the listing agreement. This is also true for the buyers; a buyer can get out of a buyer’s agency agreement, but only if their agent has a listing in which the buyer is interested in. Trust has already been gained with your listing agent, so representation for the buyer has already been established. Your agent brought you the buyer knowing that you are selling, even if your property has not yet hit the market. Your listing agent will already have covered and researched your neighborhood’s market to gain buyer inquiries, which means that your agent will be working from all sides of the deal to sell your house faster and with more incentive. Your agent works together with corporate relocation buyers who are in need of finding a house quickly, and they will ensure that it’s your house that is bought. You cannot be advised by your agent as thoroughly as you’d probably like when he or she has to act as a dual agent, because of the fast that impartial facilitation is indeed required. Your listing agent is not allowed to negotiate the best or highest price for you if you are also negotiating both best and lowest terms for the buyer. Earning a full commission, if the opportunity arises, may tempt the agent to coerce a deal which you might not accept otherwise. Your agent may inhibit all access to your listing through buyers with agents. To avoid any surprises, or anything going wrong in general when going with dual agencies, always ensure that you properly represent and clarify your full relationship with your agent. You can do this by using an exclusive buyer agency agreement, or a listing agreement. Even with dual agency, one cannot have too many surprises once everything is outlined there cannot be any surprises. In reference to the National Association of Realtors’ 2013 Profile of Home Buyers and Sellers, approximately 9% of homeowners opted to put their homes up for sale during 2012 without using a real estate agent or Realtor. A handful of “For Sale by Owner” transactions dealt with sellers and buyers who previously knew each other, or were related directly. 88% of the buyers chose to work with a real estate agent or Realtor, on the buyer’s side. Real estate agents and Realtors, unlike professionals in different categories who bill by hourly rates or at the end of the project, get paid through a transaction at the end of each sale. For example, if an agent has worked with a seller or a buyer for months at a time, they do not get paid for the time spent if there will be no transaction during that period. Realtors, based on the selling price of the home, receive a commission once the transaction goes through to settlement. This means that once all of the transactions prior to have been completed, the commission is then given. The commission itself is negotiated, in most cases, between the client and the agent. Typically, an agent will earn a commission of 6% from the sale price, but some brokerages have discount commission discounts for the sellers that they work with. Essentially, the listing agent and the buyer’s agent will split the commission, but that can bring forth some issues. For example, sometimes the split may not be negotiated evenly. A seller could have agreed to pay a commission of 5.5% that if further divided, the buyer’s agent would receive 2.5% while the listing agent receives 3% of the commission. Even though some realtors are associate brokers, or brokers in general, from positions requiring licensing and extra training, all commission payments are instructed to go through to the broker who is managing the brokerage where the realtor is working. From there, the commission is then split to the agent and the broker according to the agreement that has been made. The split will vary, sometimes newer agents will earn a small portion of the commission compared to the experienced or successful agents who generally sell more expensive properties or homes. Based on technicality, the overall commission is paid for at the settlement period by the seller. The fee is taken from the proceeds of the sale of the home or the property. However, the buyers pay the commission because they are literally paying to purchase the house, while the sellers take the commission for the realtor into account during the process of determining the price for the listing. From there, the commission is then divided during the settlement process between the buyer’s agent brokerage and the listing agent’s brokerage. Afterwards, the agents who are working the real estate sale are further paid by their brokers. If you know all of the basics, and the technicalities with regard to real estate, you will have no trouble making the best decision on which real estate professional to hire, know what to expect, and how to go about transactions and deals-you will have the smoothest sale of your life. The short answer would be “Yes, they can”, but do not count on it too much. As we were saying, the role of the home inspection is to protect the buyer from inheriting major issues along with his purchase. Home appraisal, on the other hand, makes sure that a lender does not pay more than he has to. 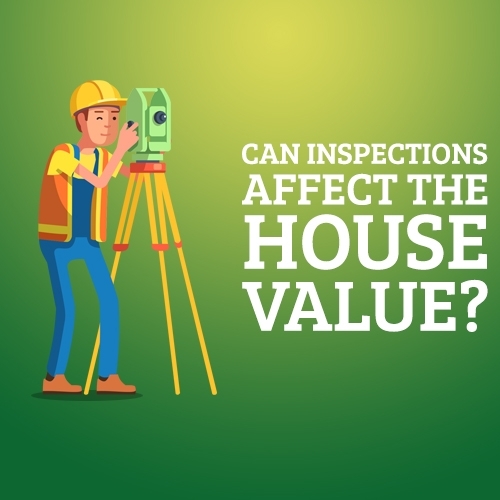 During the appraisal, the specialist determines the market value of the house basing on its square footage, the number of rooms, bathrooms, size of the outside territory and the garage, etc. He is interested in analytic data and makes his summary basing on complex mathematical calculations. Home inspections, as we already know, focus on home conditions. If those conditions are not obvious, the home appraiser will not consider them. For example, tilted facade and moldy basements are highly noticeable, and will be reflected in the appraisal, but squeaky doors and inside water pipes will not. Some mortgage guarantors require home inspection along with the appraisal, as they have specific requirements towards what should and should not be in the house. A property that possesses any of the red flags cannot be approved until all of them are eliminated. But in most cases, home appraisal cannot vaguely influence the home value. If inspections are made properly, you will be able to know your future house’s exact conditions. Make certain that you have a trustworthy and reliable home inspector on your side – essentially, the whole deal now depends on him. Do not panic if you find a lot of written issues in his report. And do not take it too lightly as well. All you need to do is to read it carefully and give it a good thought. At the end of the day, some of the written problems may appear minor or cheap and easy to fix, some of them will not matter, as you are probably going to make some renovations, and some will not matter as much as for you to refuse to buy the house of your dreams.